This post is part of our Team Tuesday Series written by Intern Shayla. 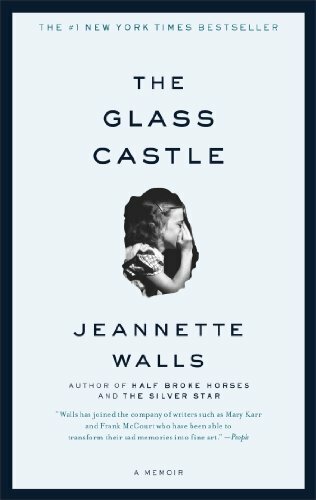 “The Glass Castle” by Jeannette Walls, while not the most recent novel published, is one of my top three favorites reads. Now, I have to admit that this wasn’t a book I chose to read myself. It was a summer reading assignment, but it is one of the few that I actually enjoyed. The novel is a memoir of the author’s life, growing up in poverty and never settling in a place long enough to make a name for herself. Throughout the novel, she shares the lessons she learned from watching her parents and the different people she came into contact with during her childhood and teenage years. “The Glass Castle” has is one of my personal favorites because of its unpredictability. With every state or city she moved to came a new adventure along with it. It’s entertaining and, in its own way, educational; teaching the reader there’s a lesson in everything life gives you. It’s up to you with what you do with those lessons.